“Dare To Be More” is written by Mompreneur Kimberly A Patrick. Patrick is a business strategist and coach who helps other moms build their own 6 figure businesses from their own homes. Patrick has been a serial entrepreneur since she was a young girl. She now has a company Talented Matched that hires moms as recruiters to work from their homes. 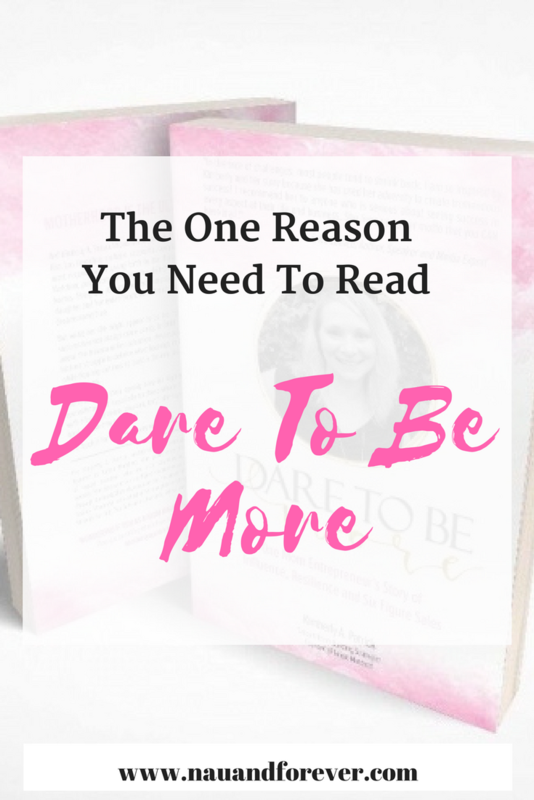 I recently read “Dare To Be More” and knew I had to share it with you all since many of you are either work at home moms or moms wanting to become work at home moms. There are several reasons you need to read “Dare To Be More” but I am going to tell you the one reason you need to go to Amazon and buy this book now. It’s so easy to fall into the trap of thinking that our circumstances define us. Some people are dealt a bad hand. I truly believe that it is what you do with those circumstances, that bad hand, that truly matters. Patrick’s story is incredibly inspiring. Yes, she grew up in a loving family. Yes, she went to good schools. Yes, she has had an entrepreneurial spirit since she was a young girl. From the outside looking in, you would probably think that she never faced adversities, but that’s simply not the truth. Patrick shares all the ups and downs she has encountered throughout her life, both personally and professionally. When some people would quit, she pushed through. She had a dream of working for herself and she was determined to make that happen. Patrick shares her personal story from abusive relationships to the journey of her relationship with God. Three things really stood out to me when I read this book. 1. Determination. Her determination to pursue her dreams is contagious. Patrick hit roadblocks, just as we all do, but she is flexible. If one avenue didn’t work out, she tried something different. She is a woman who knows what she wants and goes after it, but doesn’t take others down along the way. In fact, she lifts others up. 2. Which brings me to her love of empowering others. As I mentioned earlier, Patrick has a recruiting business and she hires moms who want to work at home with their children. Some of her moms work part-time, some full-time. Patrick mentions that sometimes moms will come to her home to work. When they do, they bring their children too. I just love that! 3. God’s plans for you are bigger than you have ever imagined. Patrick says, “Being MORE starts with daring to believe that God created you for MORE.” She talks about the importance of trusting Him and knowing that He has such amazing, wonderful plans for you, but you have to trust Him. If you are not a mom, you will still be encouraged and inspired by Dare To Be More. This book is for ALL WOMEN who want MORE and know that God has made them for MORE. And if you don’t believe that you are made for more, then you HAVE to read this so that you will realize that you are deserving of the life that you want and desire. You just have to do the work and follow Him. Want to read more inspiring stories of women entrepreneurs? Check out my Mom Boss series, beginning with this boutique owner. Also, be sure to check out free printables library and get my tips for work at home moms!